Photography and Travel are 2 of my strongest passion, deeply entrenched during my early childhood days, influenced tremendously by my Dad, Uncles and Cousins. It was from these 2 passion that I started my blogging adventure with my photoblog before producing my personal blog. With the power and channels of Social Media Networking, I got to know Sasha, a great travel writer and photographer with her own travel blog and E-Magazine. When the opportunity of becoming a guest contributor arises, I decided to give it a shot and applied to be a guest contributor with 1 of my landscape photographs that I am proud of. Therefore, when I was accepted, it was a great honour and my 1st time featured in a travel magazine ! Do check out the On UR Way Magazine Issue #2 !! 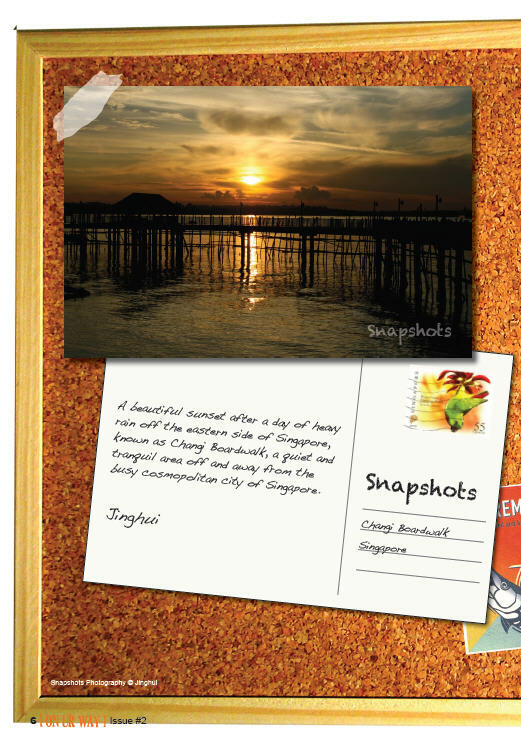 The photo that got me as the Featured Photographer is a sunset scenery from Changi Boardwalk, taken during my pre-wedding outdoor shoot assignment for my friends. 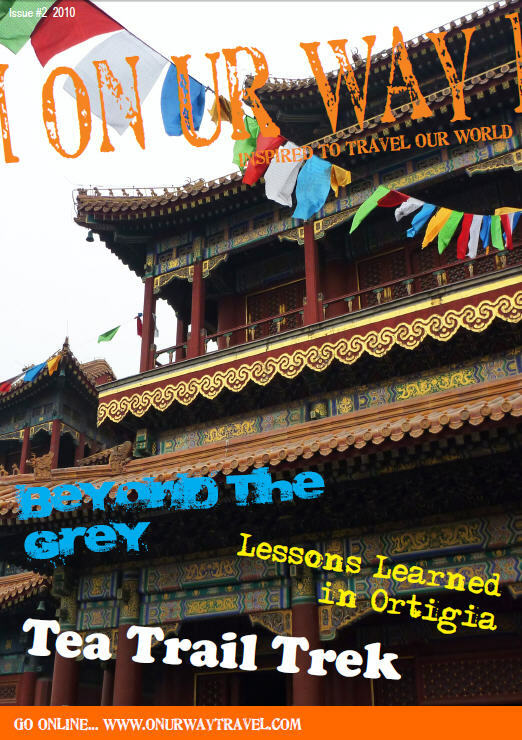 Moving forward, I hope to provide more interesting and unique photojournalistic photographs and travel stories to my readers here and readers from On UR Way Magazine ! A big Thank U to Sasha ! Many many thanks to my supporters & readers !